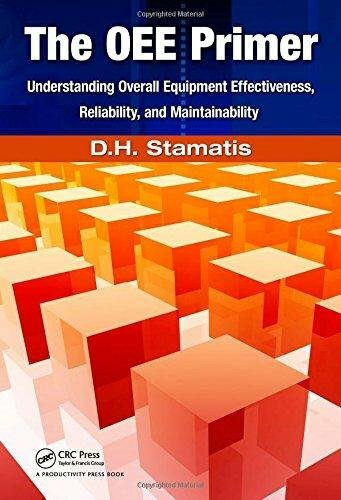 A valuable tool for establishing and maintaining system reliability, overall equipment effectiveness (OEE) has proven to be very effective in reducing unscheduled downtime for companies around the world. So much so that OEE is quickly becoming a requirement for improving quality and substantiating capacity in leading organizations, as well as a required area of study for the ISO/TS 16949. Introducing the classical approach to improvement, this book provides an understanding of exactly what OEE is and how it can be best applied to address capacity issues. Highlighting mechanical and electrical opportunities throughout, the text includes many tables, forms, and examples that clearly illustrate and enhance the material presented.